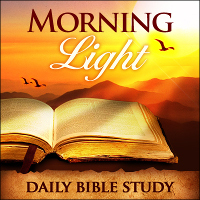 Morning Light – Romans 12: What is Your Office Gift? Today: [Romans 12:] What is Your Office Gift? Did you know that you are called to an office gift from God? Today modern Christianity only recognizes one or two ministry offices, but Paul teaches something very different in Romans 12. You have a calling, and a place to serve and this chapter will help you find out what that is. [Rom 12:1-21 KJV] 1 I beseech you therefore, brethren, by the mercies of God, that ye present your bodies a living sacrifice, holy, acceptable unto God, [which is] your reasonable service. 2 And be not conformed to this world: but be ye transformed by the renewing of your mind, that ye may prove what [is] that good, and acceptable, and perfect, will of God. 3 For I say, through the grace given unto me, to every man that is among you, not to think [of himself] more highly than he ought to think; but to think soberly, according as God hath dealt to every man the measure of faith. 4 For as we have many members in one body, and all members have not the same office: 5 So we, [being] many, are one body in Christ, and every one members one of another. 6 Having then gifts differing according to the grace that is given to us, whether prophecy, [let us prophesy] according to the proportion of faith; 7 Or ministry, [let us wait] on [our] ministering: or he that teacheth, on teaching; 8 Or he that exhorteth, on exhortation: he that giveth, [let him do it] with simplicity; he that ruleth, with diligence; he that sheweth mercy, with cheerfulness. 9 [Let] love be without dissimulation. Abhor that which is evil; cleave to that which is good. 10 [Be] kindly affectioned one to another with brotherly love; in honour preferring one another; 11 Not slothful in business; fervent in spirit; serving the Lord; 12 Rejoicing in hope; patient in tribulation; continuing instant in prayer; 13 Distributing to the necessity of saints; given to hospitality. 14 Bless them which persecute you: bless, and curse not. 15 Rejoice with them that do rejoice, and weep with them that weep. 16 [Be] of the same mind one toward another. Mind not high things, but condescend to men of low estate. Be not wise in your own conceits. 17 Recompense to no man evil for evil. Provide things honest in the sight of all men. 18 If it be possible, as much as lieth in you, live peaceably with all men. 19 Dearly beloved, avenge not yourselves, but [rather] give place unto wrath: for it is written, Vengeance [is] mine; I will repay, saith the Lord. 20 Therefore if thine enemy hunger, feed him; if he thirst, give him drink: for in so doing thou shalt heap coals of fire on his head. 21 Be not overcome of evil, but overcome evil with good. Romans 12 opens with a very familiar verse concerning presenting ourselves to God as living sacrifices. This was written during a time that the ultimate expression of love for God was defined as dying a martyr’s death. It was common in the early church for those arrested and tried to instruct their loved ones not to attempt to free them, as martyrdom was what they were seeking. What Paul is trying to say is that there is no shame in living for Christ in favor of martyrdom in the arena. There is no way we could ever diminish the sacrifice and love demonstrated by the thousands who died under the cruelty of Rome, but Paul is striking here a note of affirmation and comfort to those who may have felt guilty for not joining the confessors who refused to recant their faith and thus paid the ultimate cost. You can see in the verse above that we need to be sensitive to the leadership of the Holy Spirit when we are facing difficulty and even persecution. What some people call standing up for the gospel may just be religious stubbornness. Many believers lose their way in dead churches and hostile spiritual environments all the while claiming they are doing what God called them to do. Jesus isn’t going to tell you to do something contrary to His word. Jesus even appeared bodily to the Apostle Paul in the book of Acts to command him to flee Jerusalem. Paul refused and spent years in prison as a result. Was Paul wrong, or was the appearance of Jesus not to be believed? When we read verse 1 of our chapter, let us not forget what Paul calls “reasonable service.” I have seen many believers struggle in impossible circumstances, wrapping themselves up in false ideas of dark conspiratorial fantasies of what they think is spiritual warfare when it is, in fact, an unwillingness to obey the command of scripture to leave the problematic situation and move on to the next assignment. We are to conduct our entire life as a living sacrifice to God and not allow ourselves to be conformed to the world, reacting to the world around us rather than being led by the Spirit. Renewing your mind means daily washing your thoughts clean of the contamination of what the world thinks so that we have a hope of actually making full proof of the good, acceptable and perfect, will of God. Does God have a perfect will for our lives? Yes, He does. But He also a good and an acceptable will of God. Many choices we make in God are multiple choice, contrary to popular thinking that there is one way to please God and everything else is disobedience. What is the key for us to live our lives within the broad parameters of the good, the acceptable and perfect will of God? Verse 3 gives us the answer in cautioning us not to think of ourselves more highly than we ought to think. I know a woman who built a ministry on the belief that she was in a pitched spiritual battle with the very demonic prince controlling our government in Washington. She had and has to this day many followers who listen to her deep, convoluted, spiritual fantasies about these things when all that is really happening is she lost her home in the mortgage crises that struck this country a few years ago. She wasn’t willing to simply face the fact she made some foolish financial decisions, so she wrapped it all up in these high minded ideas of how important her situation was to the very fate of the nation rather than humble herself down to deal with her own unwise decisions that put her in personal crisis. Paul then goes on in verse 4 to point out our need for one another. He states that we are many members of one body, each with their own office or function called to serve the others. Are you a member of the body of Christ? Are you a functioning, present part of a spiritual community? Today the church is very fragmented, either scattered across the landscape with no shepherd or leadership or else cloistered behind the walls of traditional churches being led to think that sitting in a pew once a week constitutes the highest Christian service. We need to examine ourselves regarding these things. Verse 6 of our chapter says that you have a gift accorded you from God that verse 4 says is an office. The answer might be “no I am not called to an office gift, or to be an apostle, prophet or pastor…” Listen to what Paul is saying. In verse 5 he addresses every member of the body of Christ saying that you do have a gift and you do have an office. Our idea of an office is taking charge, but Paul’s teaching here that an office gift is not about lording over others but about serving. If we are to accept what Paul is saying here, we must consider the fact that in spite of modern Christian misconceptions, every believer has a gift and every believer has an office he or she is called to serve in. Ministry (serving, assisting as a deacon). Teaching (discoursing with others so as to instruct them). Exhorting (to call near for purpose of comfort, entreaty, and instruction). Giving (financing the work of the kingdom). Ruling (presiding over the order of the body). Mercy (giving aid and compassion to the wretched). You can see that we are all called to do each of these things at different times and in different areas of our life, but one of these callings (or offices) will dominate your life more than the others. That constitutes your place in the body of Christ. If you don’t know where you fit, then you should make it your top priority to identify your gifting. Once you have a sense of what your gifting is you should seek to find a place where it is welcome. You are making a mistake if all you do is walk out your Christian life sitting in a pew looking at the back of someone else’s head until Jesus comes. Many times when people attempt to exercise their giftings, trouble breaks out. That is why the next thing Paul says in verse 9 is to let our love be without inconsistency. We are to hate that which is evil and cleave to that which is good. This is also saying that your personal life and your lifestyle choices are not only to be a reflection of your love for God but your love for others as well. Verse 10 goes on to say that we are to be kind and affectionate toward one another. Have you seen believers acting in unkind or unaffectionate ways recently? With the rise of social media the incivility and harsh nature of the average Christian is on full display. This is very unfortunate. People are more committed to their obstinant opinions than they are to their brothers and sisters in Christ. The next time you get ready to flame on the internet against something or someone you don’t like ask yourself is this brotherly love? Am I preferring my brother? Am I demonstrating kindly affection or something else? Verse 11 goes on to tell us not to be slothful in business. That’s rather personal now, isn’t it? What if you pastor came by today and told you he notices you are being slothful in your personal affairs and wants you to clean that up? How would you respond? Not being slothful in business in v. 10 is connected with your zeal and service for God. It’s all the same thing. You cannot be careless in your personal life or business yet claim to be on fire for God. We are also (v. 12) to maintain hopefulness and patience when we are facing difficult circumstances. We are to be instant in prayer. More quick to pray in a situation than to respond in any other way. We are to distribute to the needs of the saints and be given over to hospitality. When is the last time you took it upon yourself to meet the needs of a fellow believer? How often do you initiate social contact (face to face) with other believers? When is the last time you invited a brother or sister in Christ into your home for a meal? This is what Paul is talking about. In verse 14 Paul says we are to bless those that persecute us. He said this at a time when Nero was feeding Christians to the lions. Today, our culture totally rejects this kind of thinking. We rail and curse and hurl insults at anybody and everybody we don’t agree with. Is that consistent with what Paul is saying here? Is this simply Paul speaking or is it the Holy Spirit speaking through him and holding you and I accountable? In verse 15 we are told to rejoice with them that rejoice. Be happy and communicate that happiness when others are getting blessed and seeing a breakthrough. Conversely when others are downtrodden don’t look the other way. Weep with those that weep. Encourage those that are downhearted. Don’t let the sun go down this day until you have lifted up a downcast soul. In v. 16 we see a great challenge. We are told to be of the same mind one to another. Do you hear what this is saying? We are not to mind high things but pay attention to what is right in front of us. You do not have permission to fill your mind with current events and what is happening on the world scene to the extent that you have no energy or encouragement for the people immediately around you who need a savior, who need the encouragement that only you can give. Do not be wise in your own conceits. What some call being informed Paul calls walking in conceit and being full of one’s self. Verse 18 gives a great word of wise counsel. As much as is possible, we are to live peaceably with all men. Not just believers. People are not our enemy. If we can find a path to peace, we should do so. We should refrain (v. 19) from all vengeful conduct either in word or deed. If you have an enemy who is hungry or thirsty – feed them. Kitty and I do this continually. Because our ministry reaches worldwide, we garner attention from those who consider themselves our enemies. If we can bless them in substantive ways, we do. Blessing others, particularly those who would make your life difficult if they could is a compelling form of spiritual warfare as v. 21 tells us. Loving the unlovely is not weakness. It is the very strategy of heaven to not be overcome of evil but to overcome evil with God.